round 60. pale gold metal. out of stock - backorder available. 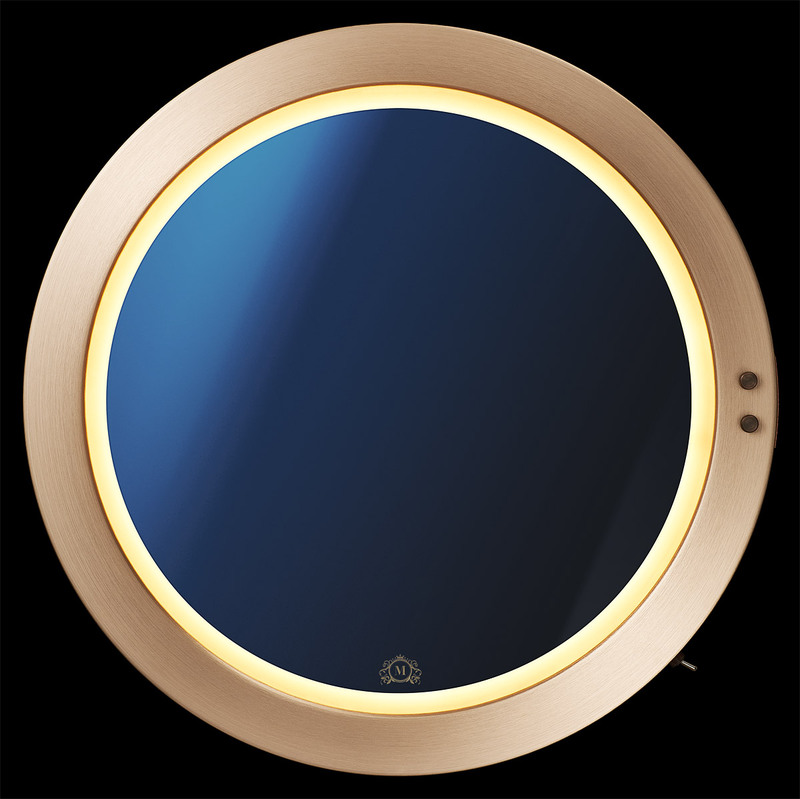 medium size round mirror for any wall, anywhere to enhance your room, yourself and those around you. adjustable dual knob trueimage system, warm-cold, dim-strong, to create perfection.